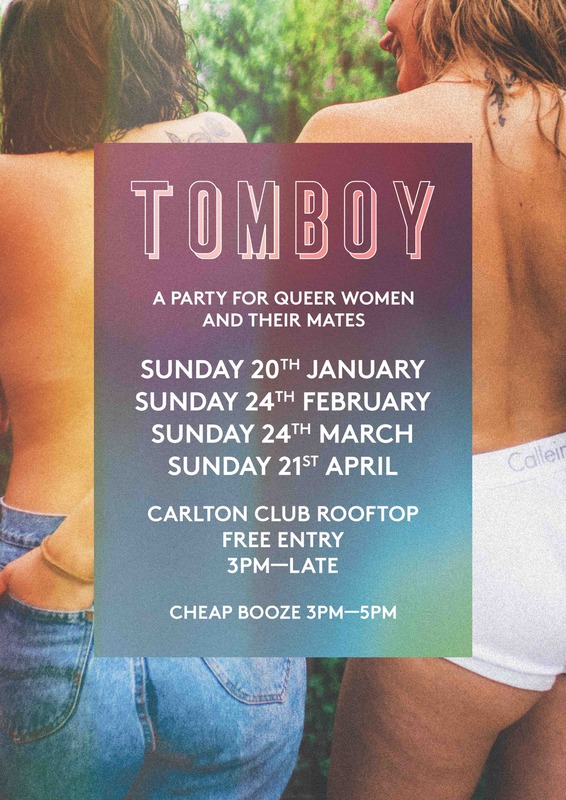 Tomboy is Melbourne’s newest Queer women’s monthly party. ✚ It’s Sunday ✚ You don’t have to hang out alone, looking for your next tinder date. Catch up with mates and meet the real babes of Melbourne on a city rooftop bar! Gather with us to reconnect and rebuild our scene whilst having a bloody good time doing it. All Queer Women and their LGBTIQ+ friends welcome. Tomboy is by Queer artists for all tastes.